There have been many beautiful pictures coming into our gallery of BLUEBELL WOODS. 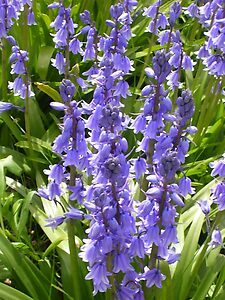 This challenge is to find the best picture of bluebell woods or just bluebells or if you have no bluebells near at hand, any WILD blue flowers. VOTING BY ALL MEMBERS would be great please. Please vote fairly if you have multiple accounts or lots of friends on other media networks. BANNERS for all in the top ten. We now have 2nd and 3rd placing banners as well as a winner’s one and the usual top ten one. The winner, as placed by the RB voting system will also be shown on the Group HOME PAGE. And, of course, the best prize of all is knowing that you have presented the best picture. 1. Normal group rules apply. That is – images must be accepted into the group gallery / the picture must have been taken in our region or, if a painting, be of a specific place in our region / the name of the county must please be added either to your title or to your artist notes. Bluebells are out now so if you don’t have a picture on your system its time for a wander around with your camera. Bluebells by Dave Hare was voted the most popular entry in this challenge with 9 votes.